Offering all types of commercial, industrial, and exotic floor coatings. 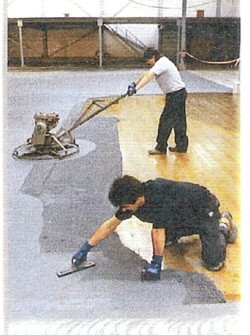 Delivering Polymer Floor Systems for since 1989. Northland Painting delivers long-lasting, high-performance polymer floors for industry. This seamless flooring is formulated to withstand corrosive chemicals, punishing impact, and continuous abrasion year after year. Northland Painting floors are available in a wide variety of colors and textured surfaces that remain safe even when wet or oily. We also have the largest portable Blastrac available in the area. To pitch, level, or patch substrates prior to overlayment. Allow flexible control and expansion. Both vertical and horizontal available for waterproofing and crack bridging. 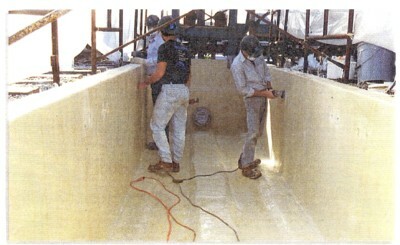 Corrosion resistant, fiberglass reinforced, immersion and maintenance coatings for industrial applications. Epoxy quartz floors are skid resistant, durable, and easy to clean and maintain.